Life gets busier and busier, so taking your car to a tire installer and waiting for an hour or two can waste precious time that you could be using to get other work done. Well, Goodyear just introduced a home tire installation service simply named "Roll by Goodyear ". Designed to appeal to busy Millennials, the service will select the right tires for your car and come to your residence/office to get the work done. No muss, no fuss. A certified installer will drive out to your location and safely and quickly install your tires. Though we're not sure how they're going to mount and balance at your location (the trucks must have the machines inside, which is a big deal). You don't even have to lift a finger, aside from giving them access to your vehicle and perhaps park it on a level surface. Goodyear is testing this service first in the Washington, DC metropolitan area to see if there's demand for it. The question is whether or not there will be widespread appeal since we're guessing the service costs extra. We'd certainly pay for this if it meant not having to drive to a tire installer. No word on whether or not they'll only carry Goodyear products or other tire manufacturers, as well. We're guessing it's only Goodyear, which makes sense but would certainly limit the number of customers who might buy the service. 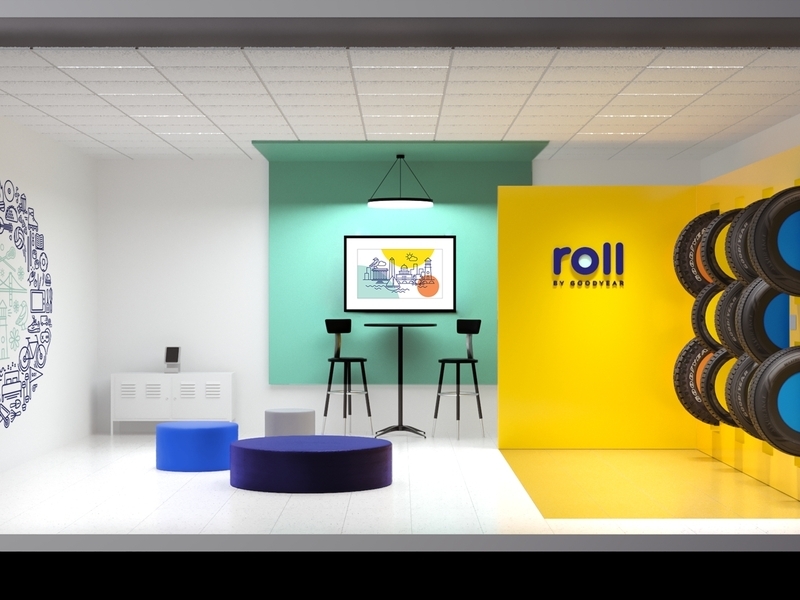 On top of the remote installation service, Goodyear also plans on opening "Roll" boutique shops where you can shop for tires in a modern space that's inviting and visually attractive (these are tires, folks, not fancy shoes). These will be known as "vibrant lifestyle centers". Interesting. Too bad that upon first glance, the logo makes it look like a sushi restaurant. What's more, there will also be a valet service that will pick up your car and bring it to a Goodyear service center to do the tire installation for those who don't want it done at their residence. This could be appealing for those with difficult residence access or tight parking situations at home. Whether or not any of these measures will be successful remains to be seen, but we applaud Goodyear for trying to make car tire installation easier and a bit more interesting.